May 1915. After tragedy strikes during the Second Battle of Artois, Frenchman Julian Olivier will do anything to get out of the trenches. So when British Intelligence recruits him to spy behind enemy lines, he jumps at the opportunity. Just before he begins, however, he has a chance encounter with a young French woman who leaves his heart marked for the remainder of the war — even if he doesn't know her name. Warren Flynn is a Canadian airborne hero, and dogfights with the Germans are all in a day's work. Second only to his love of flying is his fascination with Claire Donovan, the daughter of an American munition manufacturer living in Paris. Warren flies Julian into Germany and soon receives orders to post the Allies' newest operative — an attractive peasant woman named Evette — in Claire's home. As a dangerous ring of spies and saboteurs threatens to turn the war against the Allies, Julian discovers goodness in his enemies' hearts. But even if he survives, will he ever be reunited with the woman whose memory he can't erase? Will Warren survive the war, and will Evette unearth the infiltrator in her own territory before it's too late? Runtime Unabridged: 11 Hrs. 75 Min. Sowards is a graduate of Moses Lake High School and Brigham Young University. She swam competitively for sixteen years, including while she was in college. She found it more entertaining to think of plot ideas while following the black line up and down the bottom of the pool than having a song in her head that restarted with every flip turn. Sowards currently lives along the Wasatch front with her amazing husband and her adorable twin toddlers. She loves hearing from readers at ALSowards.com or on Facebook or Goodreads. Historical fiction is one of my favorite genres. I love when stories are based on real events in history and take me to a place I've never been before. I think it's so important to remember events like WWII and the people who fought and lost so much. It was such a terrible time in history- so much suffering. This book brings in characters from several countries and follows them in their separate plights that eventually all link together. It incorporates the ground battles, the air men and their dog fights, and the spies. The author does a fantastic job of making the characters so human and real- on all sides of the war. I wouldn't say this book is a desperate page turner as the story progresses in a more gentle, fluid way. Things develop slowly but I was never bored or feeling impatient. The people and places were set up vividly in my mind and I enjoyed the gradual coming together of the events and characters. I have really enjoyed A.L. 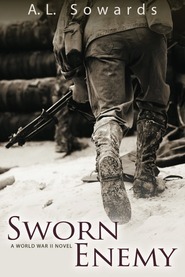 Sowards' WWII novels, so I was excited for the chance to review her new WWI novel, The Spider and the Sparrow. However, once it arrived I was a bit hesitant to start. I think it may have been the cover. I'm not sure what I would have done differently, but it's not one that catches my eye (although my pilot husband thought the cover was good). This is a perfect example of not judging a book by its cover. Once I started reading, I found the story to be engaging. It tells of the horrors of war without dragging you into lots of gory details. I felt a connection to the main characters almost immediately. Their situations were all so challenging, and then when the espionage was added there was an entirely new level of danger. I like spy stories, but I don't typically think too much about the danger to the spy if they are caught. I think it was important that Sowards addressed that. Also, when I think about the time period, I usually just think of the male soldiers. But women played an important role, and it was eye opening to see how they were involved, not only in factories, but in the espionage as well. There were a few slow spots in the story where I felt like I was getting a daily log instead of much emotion, but in hindsight I think there must be times in war where you have to put aside emotion to just get through the day. I had my suspicions about one of the bad guys, but there were several twists and turns that kept me intrigued. I was quite happy for the resolution, and I am looking forward to going back and re-reading Sowards' other books. If you are a fan of clean, historical fiction, I'd recommend A.L. Sowards books. Love this great historical fiction novel! I have loved every one of A.L. Sowards' books. They really make history jump off the pages for me. I love the way that she is able to incorporate love stories into the harsh landscape of these wars. I loved the characters, and the way that you see things from multiple points of view. In this one you see things through Evette's, Claire's, Warrens and Julian's points of view and they each have a very different point of view. Evette is a young French peasant woman trying to escape her abusing half brother. She hopes that life in Paris working in one of the factories will be an easier life for her. She has a chance meeting with a kind French soldier who helps her to realize her goal sooner than she ever dreamed possible and she can't get that young man out of her mind. Claire is a wealthy young American girl living with her widowed father in Paris. Her father is kind and amenable to having Evette live with them when she needs someplace to go. That brings us to Warren. He's a Canadian who flies for the British RAF. He's a dashing hero who is in love with Claire and always looking for the next German kill. And last but not least, Julian. Julian is the kind French soldier who helped Evette. He too can't forget her and only wishes he had been smart enough to get her name before he sent her on his way. But he has a lot on his mind other than Evette. He is a French spy embedded in Germany with a family. He must take extreme care not to give himself away so that he doesn't get killed. I loved each of the characters and the way that they were all intertwined, mostly without knowing it. They each had a large part to fulfill in the war and they each did that part with valor and courage. I loved seeing each of the points of view. The plot of this one is really well-written. It's full of action, that's just what's going to happen during the war, adventure do to the spying, and romance. The ending was not at all what I was expecting, it was pretty crazy and kept me on the very edge of my seat. Make sure you check out this book and all of A.L. Sowards' other books if you're a fan of historical fiction. You won't regret it! 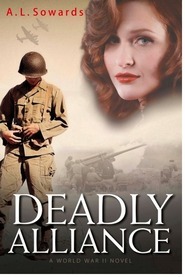 Another fantastic, but heart-wrenching WWII romantic suspense from this author! THE SPIDER AND THE SPARROW was another superb release from this author! I frankly do not know how she does it... How she immerses the reader in this historical and terrible time in history where your emotions are pulled in every which way. Emotions of devastation, heartbreak, but also determination that these characters will do what they can, and hope for the future, for a future with the possibility of love. The tensions and suspense grows throughout the story until the climax at the end when you can barely hang on and wonder how these heroes will make it. Another story from this author that I highly recommend! These characters grew on me throughout the story. I saw the misery they're experiencing in the beginning and the efforts they make in pushing forward. I saw their humanness, their conviction and determination, their hearts. There was so much heartbreak, but also so much strength and love among these characters. Difficulties and tragedies like war really bring out the best or the worst in people and the characters, both good and bad, show that. These characters showed the way war and death weighs on someone, even when victorious. Even when shooting down enemy planes a character struggled with knowing that there were people inside who lost their lives. Then the soldiers and so many deaths on both sides as if they were pawns in a game that they had no choice in. The author also did something different in this story when one of the spies was living across enemy lines... We see the German people and how their lives were impacted. How terrible the war was for so many of them and how their own enemy could learn to love and care for them. War is terrible for both sides and not all of the enemy believe as their leaders do. The plot slowly built as the spies were set up and as the war and other movements become more precarious and urgent. I could feel the intensity building. The end was extremely tense and I was really nervous about how it would end and if everyone that I had grown to care about would make it. This is fiction at its best, when you can relate and feel for characters and cheer them on against these terrible odds. "Real love obeys boundaries and stretches hearts, makes you feel like you can fly but always keeps the other person's happiness at the center of your thoughts and deeds. Real love doesn't take what it wants and leave the other person with the consequences. Real love is patient. Real love is kind." "For some reason, it made him miss Claire. Even when she couldn't put it into words, he felt her comfort, her lack of condemnation with each touch of her hand." If you read historical romantic suspense or stories that are set during WWII, I would highly recommend THE SPIDER AND THE SPARROW! Content: Some violence and suspense relative to the genre and war, but would consider this clean. Source: I would like to thank the publisher, Covenant Communications, for my complimentary review copy, which did not affect my review in any way. I remember when I was young after my great-grandma passed away--we were cleaning out her house and came across a "hidden" panel in a wall, where we found my great-grandpa's WWI gas mask. I remember wondering about what he went through and what that mask had seen. I'm not sure where it ended up, but I do know that this story really brought that period of time alive for me. I love a book that has a few different story lines that are woven together in a way that binds them in unexpected ways. It always takes me a few chapters to get a feel for who is who and then I'm off on an exciting adventure. 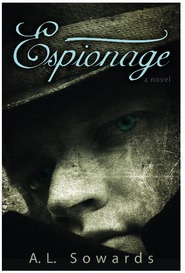 In this book, we are introduced to Julian, a French soldier who is recruited to be a spy in Germany. We also see a French peasant woman, who is determined to escape an abusive half brother, and also serves as a spy. She lives with an American, Claire, who is living in Paris with her father. Claire is tied to Warren, a Canadian pilot, who is the man who dropped Julian off on his assignment. See how they're all connected? 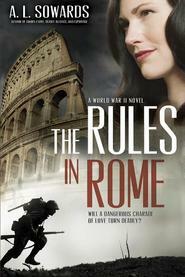 Each chapter pulled me deeper into this story of intrigue, adventure, war, and love. I couldn't help losing myself in depths of the story and found myself rooting for these characters, along with feeling their heartbreak, pain, stress, nerves, and joy. I hope there will be more books in this era forthcoming from Ms. Sowards. I loved it! Content: war violence, not overly graphic, but still moderate. Mild romance (kissing, vague mention of prostitutes). Clean! This WWI historical fiction opened my eyes to a piece of history I wasn’t very familiar with. Yes, I learned about WWI in school, but this book made me feel like I was there…and it wasn’t pretty. I slunk around in the trenches with French soldiers. I soared in rickety fighter planes with a Canadian pilot and watched men and burning planes fall from the sky. I followed spies around and discovered how they sent their secret codes and felt the drama of wondering if they would be caught as the sun rose each new day. I watched in horror as men got gassed and saw what those poisons did to their bodies. I saw the plight of the German people as supplies ran low and they slowly starved in a drawn out war they couldn’t win. Sowards really did her homework and wove a riveting tale with interesting threads of facts that not only fascinated me, but educated me as well. Julian and Evette are the main heroes in this book (their children’s stories are told in previous books like Espionage). Claire, Warren and Howard McDougal also take up a fair amount of the stage as well in this story that captivated my imagination and heart. I highly recommend this one. ***I received a complimentary copy of this book from the publisher in exchange for a fair and honest review.